Reuters - ** The Sri Lankan rupee ended weaker on Wednesday as banks and importers bought the U.S. dollar while stocks edged lower to end near a five-year closing low. ** The Central Bank on Wednesday said it has secured a 1 billion dollar eight-years loan from China Development Bank. ** The rupee ended at 171.00/15 per dollar, compared with its previous close of 170.90/171.10. ** The rupee had fallen to an all-time low of 171.60 per dollar on Oct. 10 due to foreign selling in government securities and importer demand for greenback. ** The central bank surprised financial markets on Oct. 2 by leaving its key policy rates unchanged, despite heavy pressure on the rupee and foreign outflows from government securities. ** The rupee has weakened 1.1 percent so far this month after a 4.7 percent drop in September against the dollar. It has declined 11.3 percent so far this year. ** The Colombo stock index fell 0.33 percent to 5,776.75 points, ending near its lowest close since Dec. 3, 2013 hit on Monday. It fell 3.6 percent last month and is down 9.3 percent so far this year. ** Data from the central bank showed foreign investors sold government securities worth a net 6.3 billion rupees ($37.04 million) in the week ended October 10. 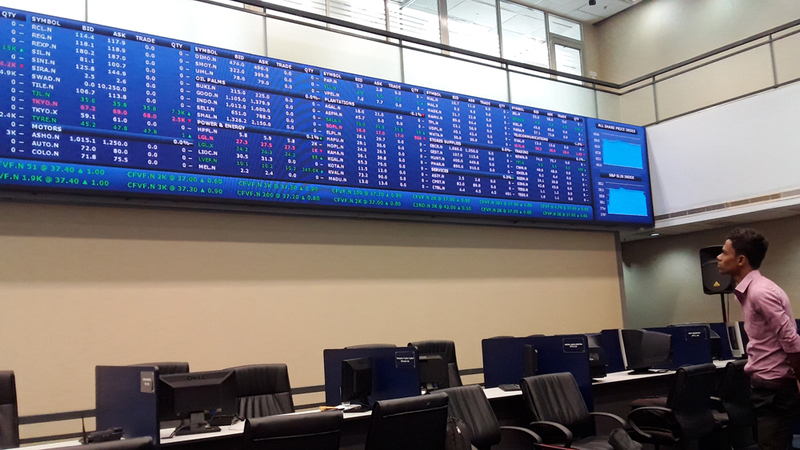 Sri Lanka has seen a net outflow of 80.6 billion rupees in securities so far this year. ** Stock market turnover was 448.3 million rupees ($2.62 million) on Wednesday, well below this year’s daily average of 774 million rupees. ** Foreign investors were net sellers of 110.4 million rupees worth of shares on Wednesday, extending the year-to-date net foreign outflow to 8.95 billion rupees worth of equities.